CYPRESS, TX (KTRK) -- The Harris County District Attorney's Office is at the Noah's Ark Sanctuary in Cypress, trying to round up dozens of animals. 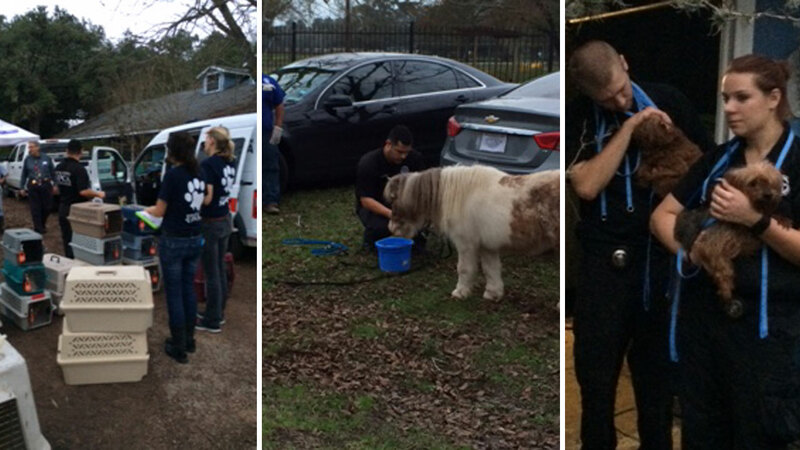 So far they have taken 10 cats, 15 dogs and three horses -- and they are expecting a lot more. The Harris County DA's Office initiated a warrant for the property. The animals will be taken to shelter to be cleaned.